Christianity is a religion that teaches its adherents to love one another. Within the church, I’ve found a roller coaster of love and quarreling, but so did Jesus. I continue to persevere, and sometimes wonder if Jesus’ “love one another” command is an ideal we will never attain. From the beginning of the church those who teach the Bible fan the flames of disagreement. Teachers in the early church wrestled with the place of law in a believer’s life. Some of the Jewish Christians demanded Gentiles to obey the Law given to Moses as a condition of salvation. Other Jewish Christians pointed to Israel’s failure to obey the law as proof no one is saved by obeying God’s law. Both sides had convincing arguments. After years of quarreling Christianity embraced saved by faith. 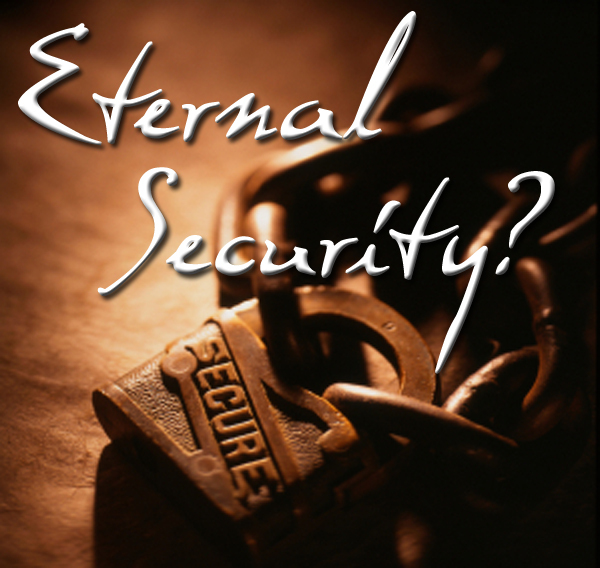 A point of contention among contemporary Bible teachers is eternal security. Some claim the Christian can never lose his or her salvation. Others disagree. Both sides of this boxing ring have powerful and convincing arguments as well. Those who embrace eternal security point to God’s nature as a loving father. Regardless of how badly a child behaves, he or she never stops being a son or daughter. The child may need discipline but never loses his or her place in the family. This argument is very appealing. I cannot fathom kicking one of my sons out of my family. On the other hand, my sons seldom fought with each other and were a joy to raise. Would I have a different attitude if they had been rebellious and disobedient causing great pain? Those who claim salvation can be lost also have a convincing argument. They believe eternal security is a dangerous doctrine because it gives people license to sin. They agree that God is a loving father, but add that he is also a God of justice. We cannot sin and retain our salvation they argue. Without holiness no one will see God. Therefore, we must overcome our sin to be saved. Conditional security is not as pleasant as eternally secure. My sister accepted Christ and attended church sporadically but she never overcame her drug addiction and died a tragic death at a young age. I want to believe her efforts to obey God, especially at the end of her life, gained her entrance to heaven. The thought that she is doomed to eternal torment in hell is too terrible for my mind to comprehend. The Holy Spirit, who arrived forty days after Jesus resurrection, is the guarantee that God will keep his promise to save us by giving us eternal life. Our Spirits don’t need eternal life because they continue to exist after the body dies. If our name is in the Book of Life our spirit will return to God. The spirits of disobedient people who never made peace with God will go to a dark place until judgment day. Therefore, I agree with those who say we are eternally secure. After we receive salvation we are eternally saved from death. I also agree with those who say we are not eternally secure. As long as we only hold a down payment on salvation, we are not secure unless we are obeying Jesus command to love one another as he has loved us.